The Federal Government yesterday announced a new national building code that will regulate construction with the aim of improving on measures to safeguard lives and property in the country. Minister for Power, Works and Housing, Babatunde Fashola, made the announcement at the ministry’s headquaters in Abuja while inaugurating members of the Architect Registration Council of Nigeria (ARCON).He noted that the event was apt, as it came on June 12, a date he described as significant in the nation’s democracy. Fashola said that given the number of deaths and the risk associated with wrong plans for buildings and other construction projects in the country, it had become imperative for government to adopt deliberate measures to check the avoidable loss of life and property, hence the new code. “We have come up with the new code because government is aware of the fact that most deaths and injuries caused during building collapse are results of unacceptable ways of building. You can find out that in most cases safety measures are not considered in erecting most of the failed structures,” he said.The council, according to the minister, was set up to determine the standard of educational qualification of members and regulate the activities of architects in the building and construction industry. He urged the new members to consider their appointment as a call to national service.He said the government remained committed to both infrastructural development and renewal. 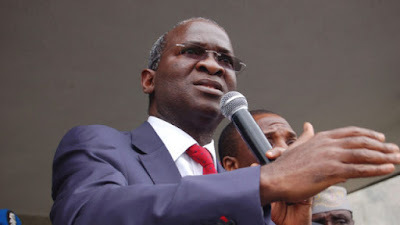 Fashola reminded the new ARCON members that they were serving at a time the government initiated a national housing programme, which is second in the history of the country after the Shehu Shagari era, hence the need for extra commitment.According to the minister, houses will now be designed in such a way that public safety cannot be compromised.